XBMC is a powerful open source media center application which is the underlying platform of such popular applications like Boxee. (Between, Boxee now supports Live News). XBMC 10.0 "Dharma" beta 2 was released recently and huge improvements are showing up already. Update: XBMC 10.0 Dharma Beta 3 Released. What's New in XBMC 10.0 Beta? Actually a lot of things. But the most serious change is the inclusion of a new add-ons system. With it, XBMC hopes to rope in the power of community towards third party application development for XBMC. For the rest of us, this means even more skins, plugins, visualizations, add-ons and more. But thats not all. 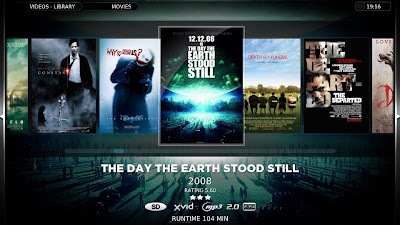 Developers have been working for nine months straight on this latest release of XBMC. Other new feature additions include hardware acceleration, improved XBMC skinning framework, support for 5.1 Multi-Channel Analog Output and many more. If you are interested, take a look at the entire list of changes at XBMC Milestone page. How to Install Latest XBMC 10.0 Beta 3 in Ubuntu Lucid? The latest XBMC "Dharma" Beta 2 is available at XBMC SVN PPA. 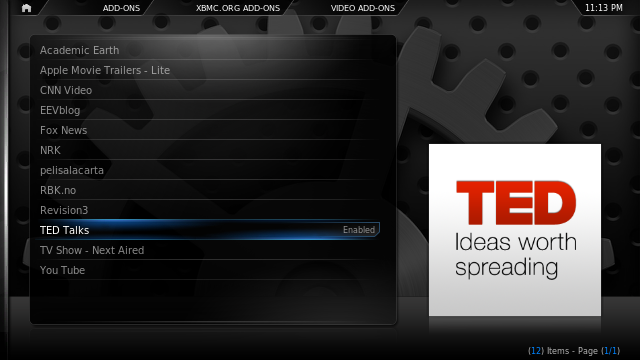 Pre-release builds of XBMC are available here. Before installing, let me remind you, this is a beta release and everything that can go wrong may go wrong after all. Do the following in Terminal to get the latest XBMC in Ubuntu 10.04 LTS. Before that, remove old xbmc packages since this is a pre-release build. This PPA is not yet available for Maverick users. Note: SVN-PPA users may have to remove old xbmc packages before installing XBMC 10.0 Beta. Also Pre-Dharma scripts/plugins/skins will NOT work with this latest beta. They all will be ready when the final release happens.